Throughout 2019, we’re celebrating The Great British Bathroom, with inspiration and ideas for your home. 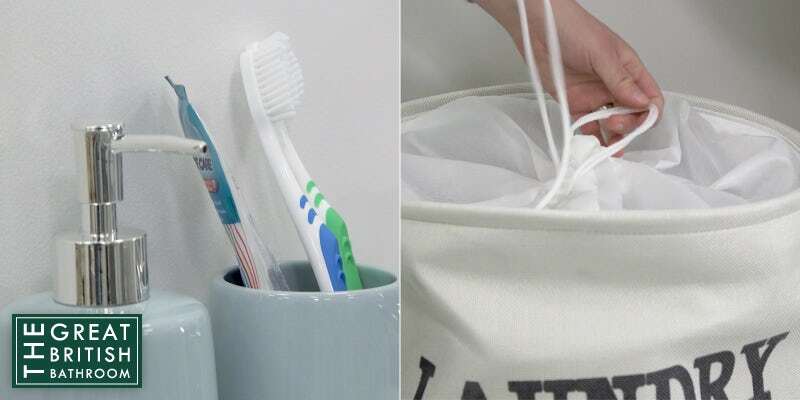 This week, we’ll show you how to give your bathroom a quick and easy refresh on a budget. In these uncertain times, one thing is certain: We're all looking to save money, every which way we can. This may mean cutting back on those luxury items in your weekly grocery shop or simply spending less on leisure time. One area which many of us focus on when looking to save cash is our home. If you’ve been planning a whole new bathroom but now aren’t so sure, we’ve got just the thing for you. 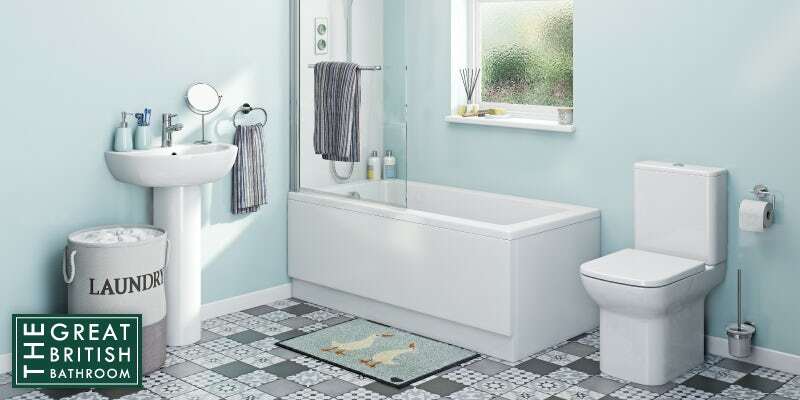 With our “bathroom refresh box”, you can breathe new life into your space for less than £150. Check out the video below to see the transformation. Carefully curated for a quick and easy bathroom makeover, you can choose from 3 bathroom refresh boxes, depending on your taste. 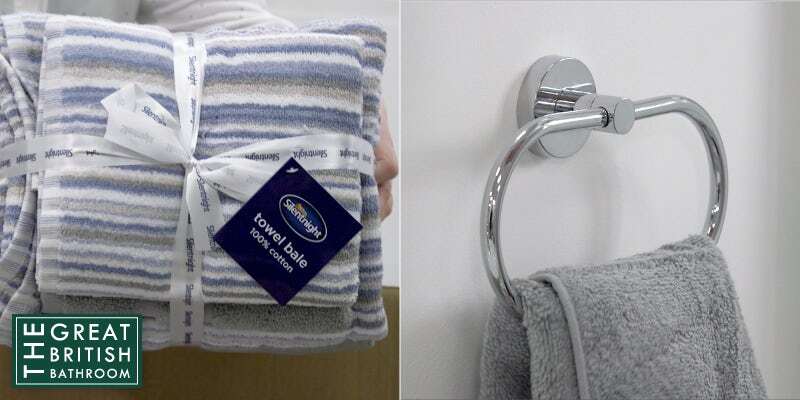 Containing coordinated paint, towels and accessories, they come in the following popular colour schemes: Neutral, grey and blue (pictured below). *These products may come in separate boxes! Ideal if your bathroom suite is still in good nick but you simply want a fresh new look. Great if you’re renting. As long as your landlord is happy with you painting the walls, it’s the perfect way to personalise your space, turning a rented property into a proper home. Hassle-free. We do all the colour coordination for you, saving you the time and effort of mixing and matching. Something you can do yourself. Fitting your accessories and painting your walls are basic DIY tasks. A quick and easy way to switch up the look of your bathroom. Click on any of the links below to breathe new life into your bathroom. If you're looking for bathroom ideas on a budget, make sure you read this article first. We reveal the real costs of a bathroom makeover and demonstrate just how little you'll need to spend.